David Ferman (born 1994) is a professional juggler from Gainesville, FL (USA). He is the 2011 IJA Juniors Champion and appeared several times on America’s Got Talent in 2014. David has set many world records and was the first person to qualify 5 club albert throws. 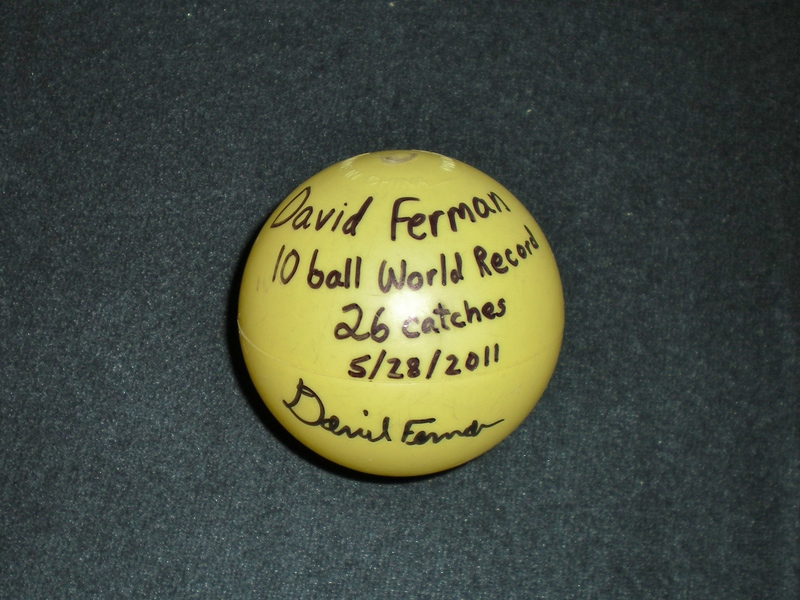 This is one of the balls David Ferman used for his 10 ball world record, achieving 26 catches, which broke Bruce Sarafian’s long standing record of 23 catches with beanbags. It is a filled, 80mm / 3.2 inch Russian style ball made and donated by David Ferman.